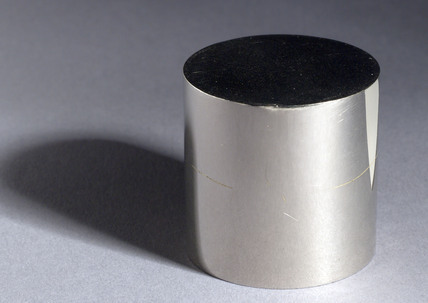 Nikel model of present Standard Kilogramme of platinum, from the Board of Trade. Boat shoes for walking on water, Science Museum, London, 1993. Profesor Pippard with Foucault Pendulum mechanism, 1988. Falling-drum water clock, c 1700. Large orrery with eight-day clock by Charles Butcher, 1733. The Whittle 1 Jet Propulsion Engine, Flight Gallery, Science Museum, 1995.